Here's your Bull City Top 5 -- Lots of events and happenings to explore in Durham, NC heading into 2019. Enjoy all that the Bull City has to offer this April! You don’t want to miss this Durham rivalry! Join the community at Durham Bulls Athletic Park as The Durham Bulls take on the Duke Blue Devils in the Battle in the Bull City. Enjoy all the Afforda-BULL Eats menu, featuring $2 Bright Leaf hot dogs and Pepsi products, $3 nachos and cheese, $4 sausages and chips, and $5 burgers, chicken tenders and select beers. Get ready for a night with Gary Clark Jr.! “Gary Clark Jr. won’t be going anywhere for a while, at least, and he remains the great living link between Hubert Sumlin and Childish Gambino. We can’t wait to have the 22nd Annual Full Frame Documentary Film Festival in historic downtown Durham, just steps from One City Center! Come celebrate 150 Years of Durham! The American Tobacco Campus will have themed neighborhoods highlighting the four pillars of Durham 150: history and education, innovation and entrepreneurship, social equity and robust democracy, and arts and leisure. You won’t want to miss this fun-filled day complete with complimentary birthday cake! You won’t want to miss a day of eating your way through a seasonal meal built around Greens! Chef and brewer, James Naquin, will guide visitors through the meaning of his beloved southern menu items - collards, turnips, mustard, and more! Here's your Bull City Top 5 -- Lots of events and happenings to explore in Durham, NC heading into 2019. Enjoy all that the Bull City has to offer this February! This brackish brethren is the perfect mix of old and new - true folk music. Hailing from our very own North Carolina, you will feel right at home listening to Look Homeward. Click here to get tickets! 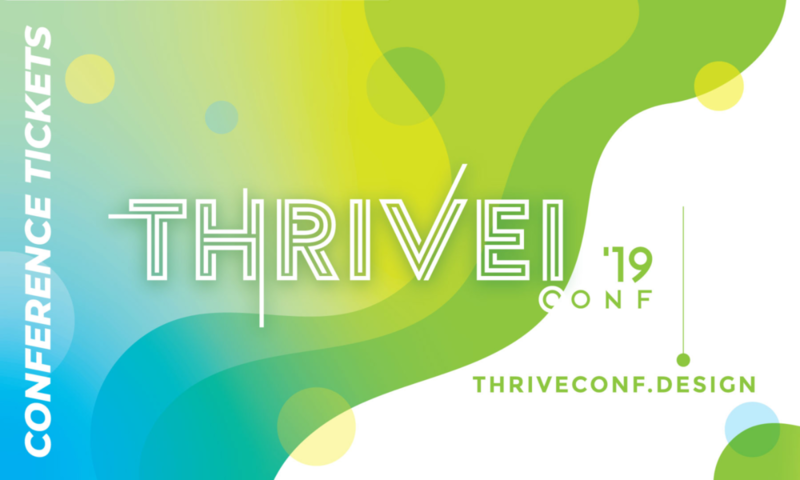 This two-day creative conference is one you’re not going to want to miss. Come get inspired through Design Empowerment, helping to enable social change through Design Impact and leave united as one creative body. Get tickets here! Come out for the 7th Annual Bull City Food and Beer Experience! Local restaurants will be paired with breweries spread throughout all three DPAC floors featuring unlimited samplings and the Harris Onstage Experience showcasing live music & local food trucks. Get your tickets here! 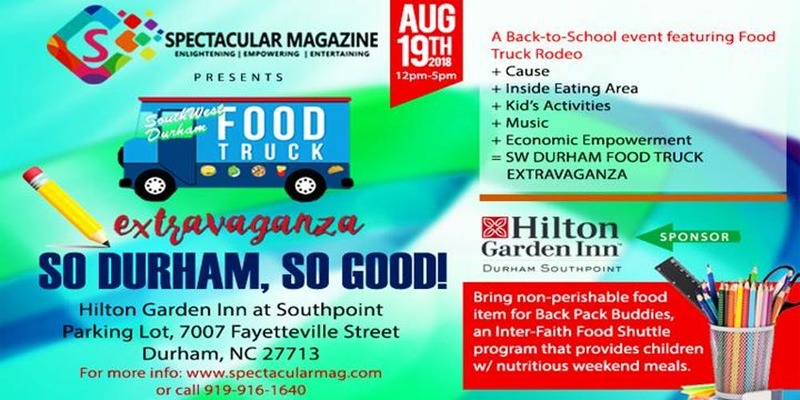 Over fifty of North Carolina’s finest food trucks will be in Durham Central Park. Grab a chair and enjoy great food and local beer with friends and family! Click here for more info. You’re invited to the best party in the Triangle! Watch the big game on eight flat screens with your friends and family! Snacks, dinner, and dessert will be provided with a ticket purchase. The proceeds will go directly to The HEARTest Yard charity, founded by Kara and Greg Olsen to support families of children with congenital heart disease. Click here to buy tickets! Don’t miss the upcoming performances at DPAC this month! Nominated for five Tony awards, The Rock of Ages Tenth Anniversary Tour is one to keep in mind! 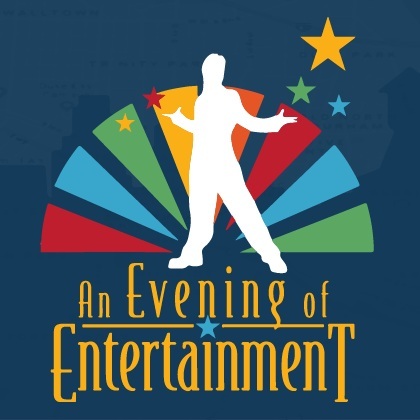 Support Durham Public Schools to help foster college scholarships for local high school seniors and buy tickets to An Evening of Entertainment! This event will feature the talented choral and dance students of Durham! Grab your friends for a drink at your apartment to watch the sunset, and then head to DPAC to watch the show of your choice! Spread the love in the neighborhood and celebrate Valentine’s Day with our friends at Unscripted! Make a special dinner with your significant other, and then head on over to enjoy champagne and desserts with friends! Buy your tickets here! You get better with age, and so does wine! Grab your ticket to Bar Brunello’s wine tasting to learn more about vintage wine. It is the perfect event to unwind with your friends! Change up your movie night with this retro film! 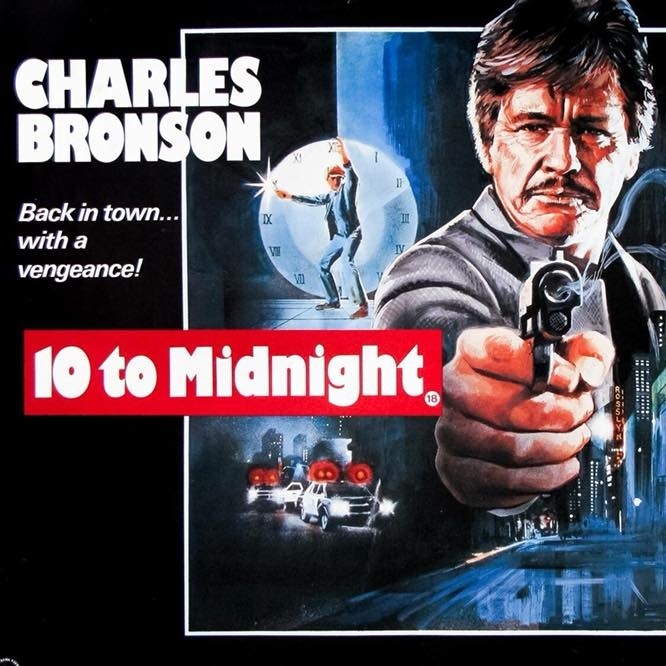 Charles Bronson is a rogue cop pursuing a deranged killer in this action-packed suspense thriller. Don’t forget the popcorn! Here's your Bull City Top 5 -- Lots of events and happenings to explore in Durham, NC heading into 2018. Enjoy all that the Bull City has to offer this September! Come celebrate Labor Day Weekend, with the Triangle's most popular food trucks! Make sure to come with empty stomachs, there's something for everyone and this can't miss event. Art lovers rejoice! The Durham Arts Council is bringing the 44th Annual CenterFest Arts Festival to downtown Durham. More than 145 juried visual artists from 17 states will showcase their work and 75 performing arts groups provide continuous music, dance and entertainment throughout the festival including extended Saturday evening entertainment. Ocotberfest in September!? We're not mad about it. Come out and enjoy live music, dancing, a kid's play area, brats, burgers, pretzels, Octoberfest Mustard/Mushroom Fries, wine, beer and of course our BCBB Octoberfest beer! 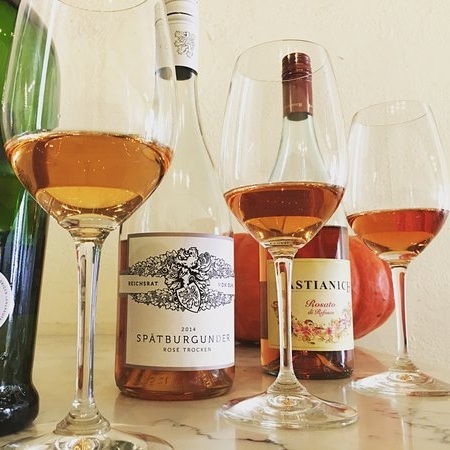 Join Zweli's for an extravagant Five-Course Wine Dinner, featuring exquisite hand tailored flavors from the Southern African region, paired with delicious and exotic wine selections from Rickety Bridge, a South African winery. Here's your Bull City Top 5 -- Lots of events and happenings to explore in Durham, NC heading into 2018. Enjoy all that the Bull City has to offer this August! Celebrate the Latino culture with food, sports, art, and music at this can’t miss festival! Cheer on your favorite soccer team while enjoying time with family and friends. Click here for details. Check out the views from above on the rooftop of our friends' at The Durham! You will get a glimpse of Mars, Saturn, and meteors. With music and celestial cocktail creations, it is sure to be a stellar time! Check it out here. Don’t miss this exhibit when opens August 17th! The regional winners will be featured daily though October 13th, so don’t worry if you miss it in August. Click here for more details. Give a meal, and get a meal! Bring canned food goods and help out the community at this food truck frenzy! Music, food, and children’s activities are just a few things to look forward to! If you are a fan of hip-hop, then get ready to bump! This three day event helps to build stronger communities by teaching the immersive culture of hip-hop. From music to food, you’re bound to have a great time. Buy your tickets here! Here's your Bull City Top 5 -- Lots of events and happenings to explore in Durham, NC heading into 2018. Enjoy all that the Bull City has to offer this July! Kick your Independence Day off with a SPLASH on the Eno River! 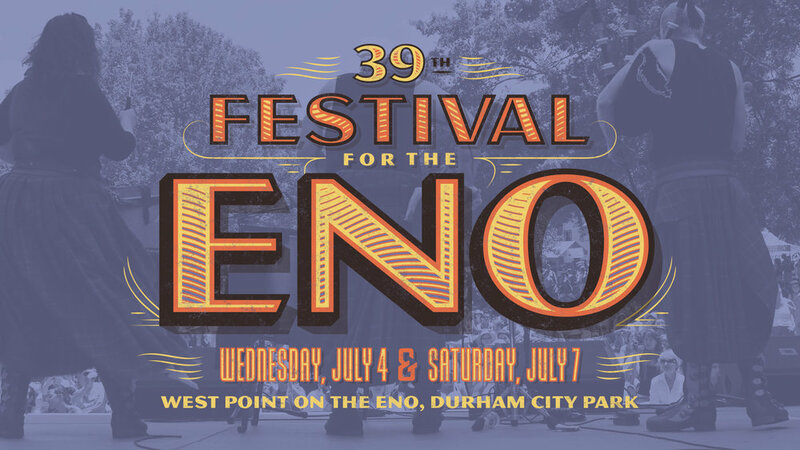 With a large assortment of food and drink vendors, 70 bands, and all types of goods from local craft artists, the 39th annual festival aims to help raise awareness and funds for the Eno River. If you can’t make it on July 4th, don’t fret because the festival will be open on July 7th too! Buy tickets here! Take a tour of bull city bike style. Hop on two wheels and get a tour of the awesome murals that make Durham so unique! For more info click here! If you want to show your love for the Bull City, while enjoying a fine dining experience, this event is for you! “Chefs for Change is a fundraising dinner series that pairs the burgeoning Durham food scene with the needs of families experiencing homelessness. Phoebe Lawless was the owner and chef of Scratch Bakery. The James Beard semifinalist now owns The Lakewood, which serves an American cuisine with a focus on seasonal, locally-sourced ingredients. Chef Lawless will make sure you are well fed, with three or more courses! Sign up here! Pickles, pickles, pickles, and more pickles! Sample pickle-flavored foods and drinks all day from restaurants around the triangle! The proceeds raised will benefit the Durham Central Park. Buy tickets here! We can’t think of a better friend to workout with than your dog! Enjoy this Thrive Alive class together and make sure to stay afterwards for beer, wine, and Barley Labs homemade dog treats! Sign up here! Here's your Bull City Top 5 -- Lots of events and happenings to explore in Durham, NC heading into 2018. Enjoy all that the Bull City has to offer this June! Here's your Bull City Top 5 -- Lots of events and happenings to explore in Durham, NC heading into 2018. Enjoy all that the Bull City has to offer this April!